I was very excited to be attending the Christmas blogger breakfast in London Courtesy of Achica. This was a great opportunity to learn about some brilliant company's, this was a very festive event. We had a chance to get creative, we decorated Wreaths and garlands with Festive, we did some fab card making with Five Dollar Shake, we also did dried fruit garlands with Konesar. I have recently just become a member and i love it, I wish i had signed up sooner, I can't wait to pick up some great bargains just before Christmas, please click on the link below to be sure you do not miss out on some fantastic offers. 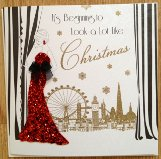 I really enjoyed decorating the Christmas card from Five Dollar Shake, so much detail goes into these cards, I can really see why they have won best Christmas Counter awards for the past 7 years. Five Dollar Shake is an Exquisite, Luxury, Greeting card and stationary brand. Each Five Dollar Shake design is uniquely made in it's entirety in the UK, they use wonderful components that are carefully sourced from around the world, and are made from sustainable and renewable forests, they have become a global company. Please visit http://www.fivedollarshake.com/ for your nearest stockists or to buy online. 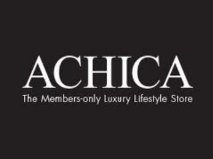 They have everything from Home & Garden Décor to everyday gifting and Floristry. Festive Productions has a long tradition of UK manufacturing, they are the only UK manufacturer of tinsel garland a Capacity of 80,000 meters per day. Festive supply to all the major retailers around the world, you can buy their amazing products from the following company's. This is just a link to a few of them, they are also stocked in Next, Harrods, B&Q, Sainsburys, Robert Dyas, and many more stores. I made a very beautiful garland using dried oranges, lime, apple and cinnamon, the scent was divine. 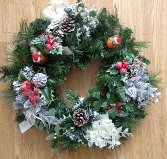 Konesar supply the finest hand-crafted door wreaths and swags, utilising natural ingredients, both dried fruit and flowers. In addition they craft beautiful candles, pomanders, pot-pourri and hearts. 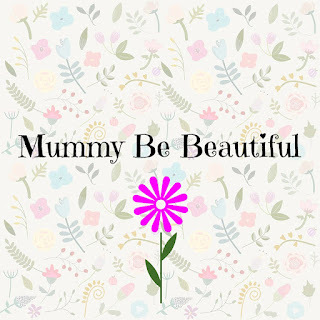 It is their aim to provide you with a constantly changing selection of exciting new floral home decorating products and gifts; incorporating the latest trends and colour fashions in our designs. With their Design Centre they are able to offer their clients bespoke designs, tailored to any event or theme. All utilising natural quality ingredients, handmade in the UK with care. they have many years of knowledge and experience in the business of dried flowers. With every step of their operation from design, to handling and shipping, carried out with care by their team of professionals. When it comes to consistent damage free shipping of dried flower arrangements across the UK and Europe, we know what it takes - your satisfaction is guaranteed!